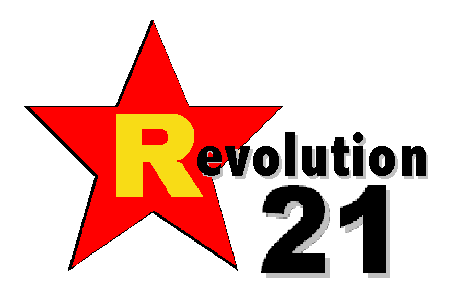 Revolution 21's Blog for the People: Who's gonna fill the Possum's shoes? Who's gonna fill the Possum's shoes? I wonder whether St. Peter has ever had anyone pull up to the Pearly Gates on a riding lawn mower. Well, he has now. The Possum has left this vale of tears and taken off on the grandest tour of them all, one on which all broken hearts are mended and all tears are wiped away forever. His publicists, Webster & Associates, said he died at a hospital after being admitted there on April 18 with fever and irregular blood pressure. Mr. Jones’s singing was universally respected and just as widely imitated. With a baritone voice that was as elastic as a steel-guitar string, he found vulnerability and doubt behind the cheerful drive of honky-tonk and brought suspense to every syllable, merging bluesy slides with the tight, quivering ornaments of Appalachian singing. In his most memorable songs, all the pleasures of a down-home Saturday night couldn’t free him from private pain. His up-tempo songs had undercurrents of solitude, and the ballads that became his specialty were suffused with stoic desolation. “When you’re onstage or recording, you put yourself in those stories,” he once said. Fans heard in those songs the strains of a life in which success and excess battled for decades. Mr. Jones — nicknamed Possum for his close-set eyes and pointed nose and later No-Show Jones for the concerts he missed during drinking and drug binges — bought, sold and traded dozens of houses and hundreds of cars; he earned millions of dollars and lost much of it to drug use, mismanagement and divorce settlements. Through it all, he kept touring and recording, singing mournful songs that continued to ring true. Mr. Jones was a presence on the country charts from the 1950s into the 21st century, and as early as the 1960s he was praised by listeners and fellow musicians as the greatest living country singer. He was never a crossover act; while country fans revered him, pop and rock radio stations ignored him. But by the 1980s, Mr. Jones had come to stand for country tradition. Country singers through the decades, from Garth Brooks and Randy Travis to Toby Keith and Tim McGraw, learned licks from Mr. Jones, who never bothered to wear a cowboy hat. ANOTHER GREAT ONE is gone at a time when we seem to be losing great ones at a quickening pace. That leaves me with one big question -- a question Jones once asked himself. REST IN PEACE, Possum. Your music lives on. Amen. 3 Chords & the Truth: Do you remember? Because I'm a geek . . .
3 Chords & the Truth: Don't be chicken, listen!